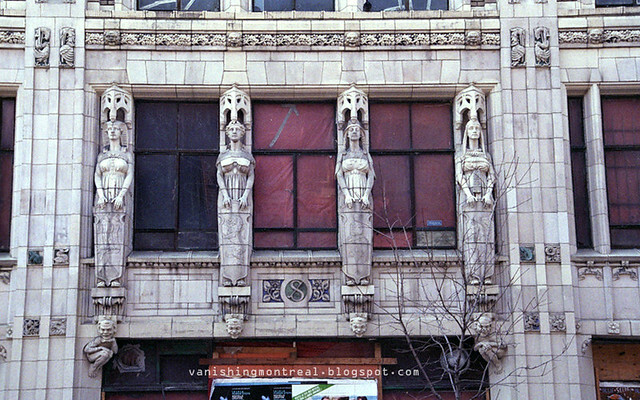 The abandoned Southam building on Bleury, near the Hôtel Marriott Courtyard construction site. Beautiful facade. 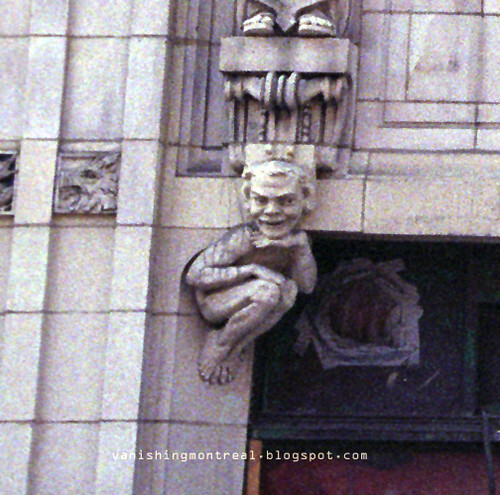 Love the little devilish looking cherub. Because of the construction site, there was no way for me to take a full shot of the building but you can see it here (you might have to refresh the page to get it working). 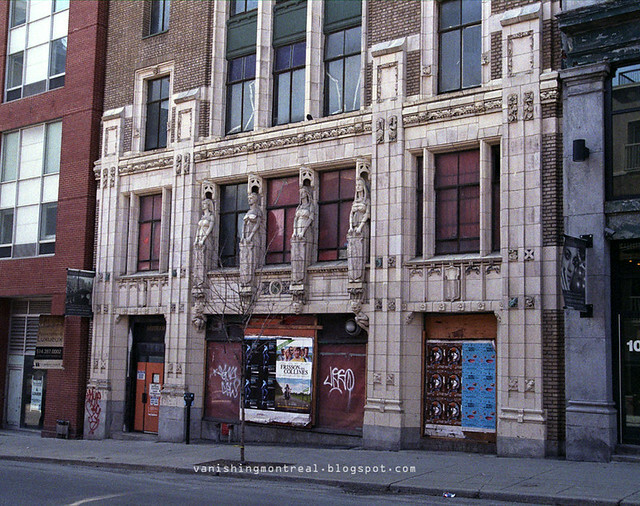 as of december 14 2011 the front of the building is painted in whitte, destroying all the détails of the work of art.